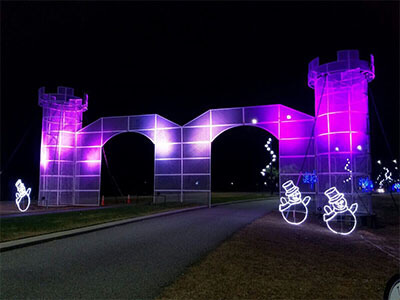 This project’s client designed a steel castle for Christmas celebration. Client provide full set of design, and our engineer made some adjustment to ensure precessing possibility. The difficulty of this project is the joint of each steel net. 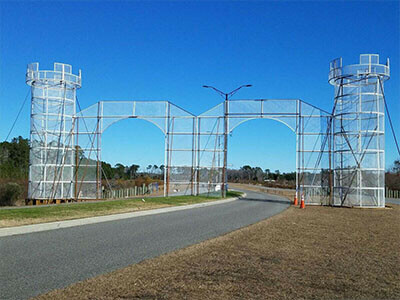 During the two months, we purchased different steel net to try, and finally, finished and delivered whole set of this steel castle. Fabrication Methods: The carbon steel plate was fabricated by amada laser cutting and bending machine after programmed. Welding were completed with certified welding operatives, then do powder coating finish.